“So, we started to text each other intensely,” my friend said, continuing his story, though I already knew where it would lead. Everyone who listened to him nodded, in agreement of his way to end the digital romantic process. His story is not unique in an age that glorifies internet connection. I have come to believe that texpectation will always be a part of Millennials’ love stories since the term began to spread in 2015. The Urban Dictionary defines the portmanteau textpectation as an anticipation one feels when waiting for a response to a text message. More often than not, textpectation happens when someone is fully engaged in text conversations and is waiting for a reply. In modern dating, textpectation becomes the starting point of your assumption towards requited love. The common hypothesis is the faster a person replies to your text messages, the more they are into you and vice versa. 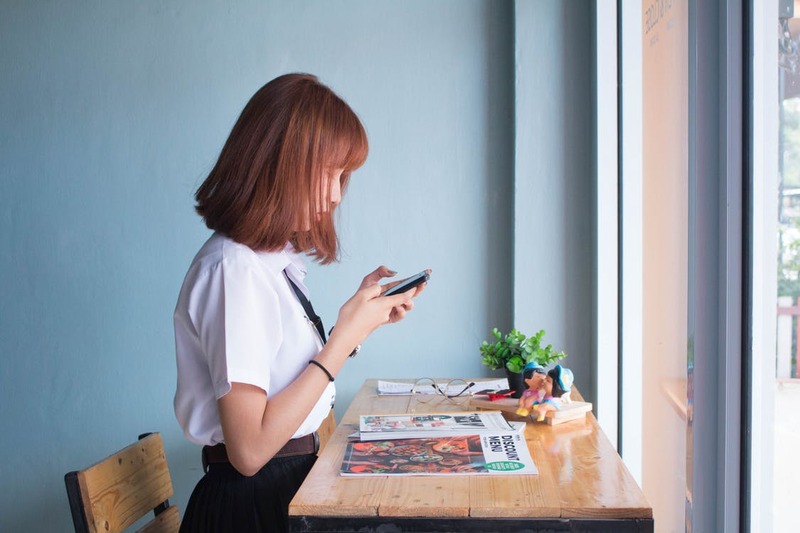 People find that textpectation makes dating easier by measuring the degree of interest of the target person based on their text messages, instead of body language and conversations that take place in face-to-face interactions. So, why do people still have textpectation? Our fear of direct rejection, for one. I believe that textpectation minimizes the pain of being rejected because texting acts as a digital shield because of the distance between the sender and the recipient. Textpectation has the power to give you a chance of “running away” from the potential of unrequited love. If we assume the other party is not into the conversation, then we may have a chance to stop the ongoing feeling right away so our heart is safe from the pain of being broken. Besides giving the chance for you to avoid rejection before it’s too late, textpectation allows you to be in denial. When the person you’re interested in didn’t reply to your messages right away, you might deny their uninterested behaviors by blaming the internet connection or assuming their phone has run out of battery – or other technical reasons to mask the ugly truth that your feelings may not be reciprocated. I can’t help but think that textpectation is a coward approach to dating. You see, there is nothing romantic about waiting for your phone to buzz with an incoming text. Also, text messaging does not guarantee love. Textpectation gives you nothing but pseudo-happiness and will lead you to thousand fallacies that feed into a never-ending cycle. The more you give in to textpectation, the easier it is for you to have false judgments of others. Text messages or written languages have countless meanings and could be interpreted in many different ways. Human is a complicated being and analyzing their text messages as well as the time it takes for them to send it makes it seem even more complicated than it needs to be. Love should be simpler than that. Instead of waiting for their texts to come, you should bring back the old school dating habits that give you the real feeling of being in love. Go on real dates by meeting people directly, have a face-to-face conversation, give real gifts once in a while, invite people to your special occasions, be honest with your feelings and say it fearlessly. Love is an arena for equality: everyone should give equal efforts in love. Put it simply, love is about showing up. We should acknowledge the truth that love will always come with the risk of pain and that love and vulnerability come in a package. Being in love is being brave enough to give your all or nothing. Taking risks on love may lead you to face rejection, but it’s much better than wasting your time overanalyzing text messages that give you nothing but limitless uncertainties. Real love comes from real action. Stop being a coward; stop texting, start real dating.